On 5 July 2017, the GEF launched a new integrated approach programme (IAP) focusing on food security in sub-Saharan Africa. The food security IAP will be implemented in 12 countries, targeting nearly three million households and improving the management of 10 million hectares of land. Africa’s population is expected to double from 1.26 billion today to over two and half billion by 2050, little more than 30 years from now. At the same time, land degradation, loss of biodiversity and the effects of climate change pose increasing challenges to the continent’s agriculture sector, particularly smallholder farmers. If left unchecked, these challenges will threaten the food security of millions of people, particularly in the drylands. Affected countries will require national policies and farmer practices that safeguard food production, as well as frameworks for mutual cooperation across the agricultural and environmental sectors, if they are to ensure the sustainability and resilience required to feed their people. In an effort to address these multiple challenges, more than 80 government and development sector experts met in Addis Ababa, Ethiopia on 5 July 2017, to launch the Integrated Approach Programme on Fostering Sustainability and Resilience for Food Security in sub-Saharan Africa. Financed by the Global Environment Facility (GEF), the 5-year, USD 116 million programme is designed to promote sustainability and resilience among small holder farmers through the sustainable management of natural resources – land, water, soils and genetic resources – that are crucial for food and nutrition security. 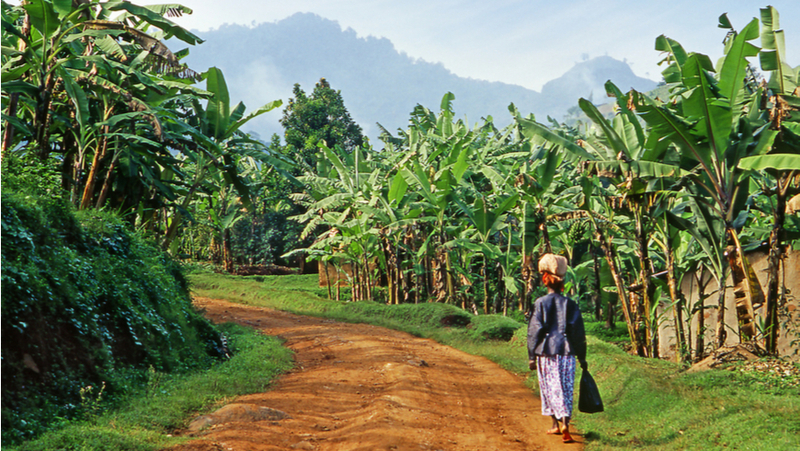 The International Fund for Agricultural Development (IFAD) is the lead agency with the Programme Coordination Unit hosted by the World Agroforestry Centre (ICRAF) at their headquarters in Nairobi. Bioversity International, UN Environment, UNDP, FAO, World Bank, UNIDO, AGRA and Conservation International are all involved. Smallholder farmers, who are responsible for most of the region’s food production, will benefit from practices and policies that will ensure the long-term sustainability and resilience of their production systems. Efforts to ensure post-programme sustainability include a particular focus on gender issues at every level of the programme to address policy and culturally-related barriers to gender equity and women’s empowerment in most of the participating countries. The Programme targets almost three million households in 12 countries and will improve the management of 10 million hectares of land. The Programme includes the increased involvement of the private sector in developing viable value chains for food crops. At the same time, a regional hub that will support, synthesize and promote learning across the network of countries will improve access to knowledge from scientific institutions and help inform policy options and investment opportunities for managing ecosystem services in smallholder agriculture. Margarita Astralaga, Director of IFAD’s Environment and Climate Division reiterated the importance of linking food production with ecosystems to protect the environment and to ensure that smallholder farmers reach markets. “A key ingredient to the Food Security Integrated Approach Programme is the learning across the twelve country projects as well as its three components on institutional frameworks and policy, scaling-up integrated approaches, and on measuring collective impacts,” she noted. To ensure effective implementation of the project, participants called for system-wide stakeholder engagement – from the field to the government – and the mapping of existing and previous projects to enable south-south learning. They also emphasized the need for technical support on improving stakeholder engagement, capacity development, strengthening institutions, monitoring systems, combining research and technology, scaling technologies, and communicating among stakeholders in participating countries and globally. The Food Security Integrated Approach Programme is aligned to the Sustainable Development Goals and the three Rio Conventions on biological diversity (CBD), to combat desertification (UNCCD) and on climate change (UNFCCC). It will be implemented in 12 countries including Burkina Faso, Burundi, Ethiopia, Ghana, Kenya, Malawi, Niger, Nigeria, Senegal, Swaziland, Tanzania and Uganda. Other Integrated Approach Programmes of the GEF are on Green Commodities, Supply Chains, and Sustainable Cities. This article was orginally published by World Agroforestry Centre.